CAROLINELEAVITTVILLE: Georgia Clarke talks about her fiesty, smart new novel, The Bucket List, the smart women she writes about, and her love of cheese, and more. Georgia Clarke talks about her fiesty, smart new novel, The Bucket List, the smart women she writes about, and her love of cheese, and more. Georgia Clarke is a powerhouse (and she likes cheese, too!) I first met her when I was speaking for Generation Women, her amazing storytelling event featuring women from all different generations, and I fell in love. Of course, I wanted to read her book. Of course I loved it. And her even more. She's the author of Parched, The Regulars, She's with the Band, and now the hilariously wonderful The Bucket List. her debut adult fiction, The Regulars was reviewed in Cosmo, People, Us Weekly, and Marie Claire, and more. It was a Best Book pick for In-Style, PopSugar, Redbook, Refinery 29, Harper’s Bazaar, and many more. The Regulars received A-list celebrity endorsements, went on a 20+ blog tour, was embraced by the bookstagram community and saw her invited on national television in Australia. 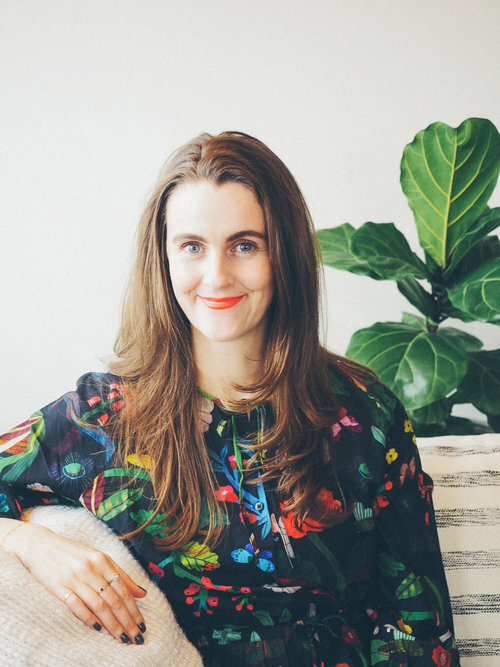 She had over 100 people come to her NYC launch, record-breaking attendees at the LA and Sydney launches, and hosted sold-out events that saw her book going #1 in local bookstores. And she runs a course that can help you do the same! (Just check out her website!) She creates and run her website and social media channels, sending a monthly newsletter to hundreds of engaged subscribers, and am the founder of the Brooklyn Writers' Salon, as featured in Brooklyn Magazine. Thank you so, so much for being here, Georgia. Rock on. The inspiration for this story started with a cancer scare of my own. I was in Sydney, on book tour for my last book (The Regulars), and while getting a routine Pap smear, my doctor felt a lump. I was scheduled for a diagnostic ultrasound on the same day I was doing my first live TV appearance, a meet-and-greet at Simon & Schuster Australia, an in-depth 30-minute radio interview, and my book launch. Ultimately, the lump was benign, but the stress, fear, and “what ifs” stayed with me. I was aware of preventive mastectomies, and the concept intrigued me: it felt feminist and raw and emotional; all the things I like in a story. In the first outline of the story, the action was focused around a woman who’d had a mastectomy and was starting to date again. But as I started my research, it quickly became clear that this was not the most dramatic part of a previvor’s journey; that would be the time before the decision. Switching the focus added a ticking clock (always good for fiction! ), and then the question of the bucket list naturally arose; what would you want to do with your breasts if you were thinking about losing them? What hadn’t you done? Were you meeting your own sexual needs? This created the story. 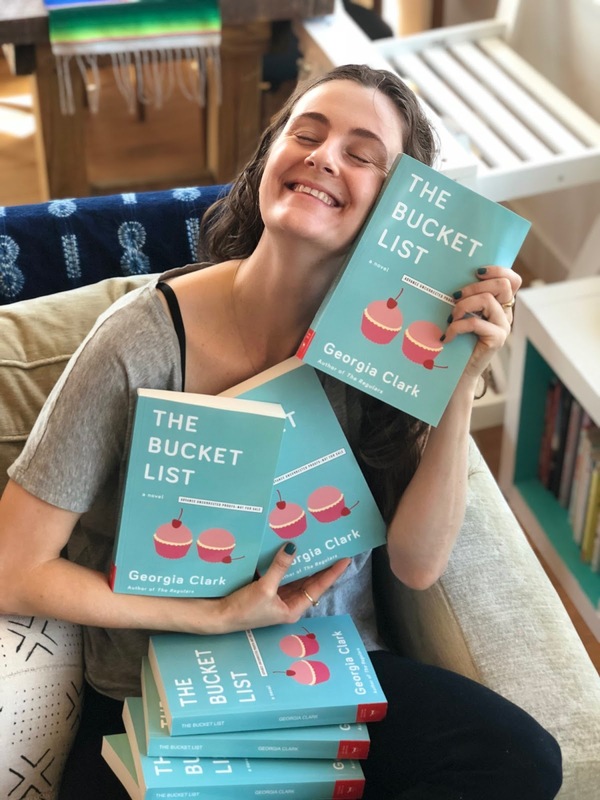 I love that Lucy and her friends have a bucket list and that it isn’t just about our bodies, but about how we choose to live our lives, and how sometimes it’s trauma that helps us find our way to happiness. Can you talk about this please? I think the things Lacey comes up with for her bucket list surprises her a little, and makes her realize she’s not a fully realized sexual being, which is partly due to her childhood and partly due to the fact she’s 25; a young woman still learning how to relate to her body. I find it so interesting how she starts to see her body as a charge; something she’s responsible for, and that its immediate demands might not always be in its best interest. And yes, our personal stories, even the traumatic ones, are what make us who we are. We can learn from them, and they are not a barrier to happiness and fulfillment: they are part of the richness of who we are; as women, as humans. I have to admit I am a junkie for acknowledgment pages and I read yours, and I teared up about your friend Nick, who told you to always “seek out differences.” I love that. Can you talk about that, please? Nick, whom this book is dedicated to, was a proud gay man from Uruguay who wore black eyeliner and black nail polish and danced to Madonna and argued about Marxism. He was, to a white girl from the ‘burbs, different. After Nick died from complications related to T-cell lymphoma in the early stages of writing this book, I spent a lot of time reflecting on death and loss but also what Nicky showed me and taught me. My early 20s, which was when we met, was a transformative time for met. I met a lot of people in the queer community, which is a place that truly celebrates and showcases diversity. Difference is powerful, and I believe in the power of embracing and really hearing others’ experiences. That’s reflected in the characters in my novels, who are always diverse, and the line-ups for my multi-generational storytelling night here in NYC, Generation Women. So tell us, do you have your own bucket list? Why or why not? And why do you have a fridge full of cheese? My bucket list is mostly travel-related! Tokyo, Greece, more of South-East Asia… Lacey’s bucket list is sexual and body-related, but I’m not the kind of author who’s going to trot out a lit of sexual fantasies for press, ha ha. Not sure my girlfriend would be into that! And why do I have a fridge full of cheese? BECAUSE I LOVE CHEESE. It’s my crack. Now I’m thinking about making a grilled cheese…. Yum. I’m obsessed with Stranger Things 2, which I only just started and cannot stop thinking about. It’s so good. I finished Station Eleven by Emily St John Mandel a month ago and still think about it every day, it’s a masterpiece. I’m obsessed with JT’s new album Man of the Woods because I listened to it on repeat to get pumped for the live show, and now I can’t get the songs out of my head. I’m excited for Sweetbitter on Starz (out in May!). I loved Amy Poeppel’s new book Limelight. I’m also obsessed with our current political sh*tshow, but that’s mostly very depressing. I’m sure you want to know when my book launch is, right!? Done: Thursday August 9th at Books are Magic: save the date! The Bucket List is out August 7th and my last novel The Regulars is out in paperback now. Follow me on Instagram, Facebook or Twitter! 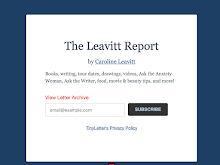 I also have a monthly newsletter full of writing tips and other fun stuff which you can sign up for via my website.